But disappointment passed fast when I discovered Khan Murjan at Wafi Mall. 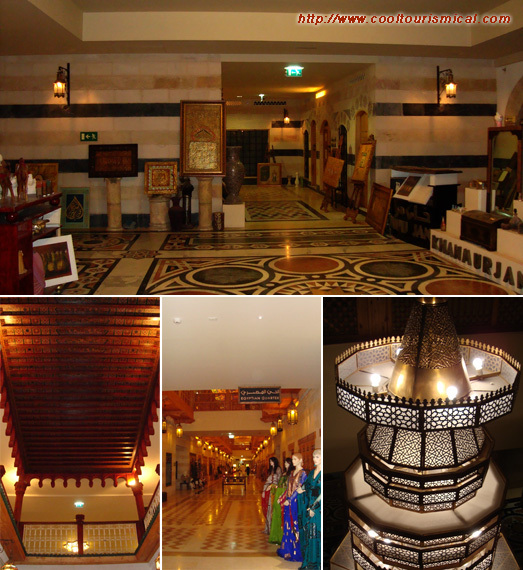 Also pretty new, but has every characteristic of an authentic Arabic world souk – a mix of culture from the Gulf Area, a wonderful rebirth not only for the traditions, but also for my personal memories. A legendary 14th century souk (inspired by the ancient subterranean souk in Baghdad), but modern and alive. 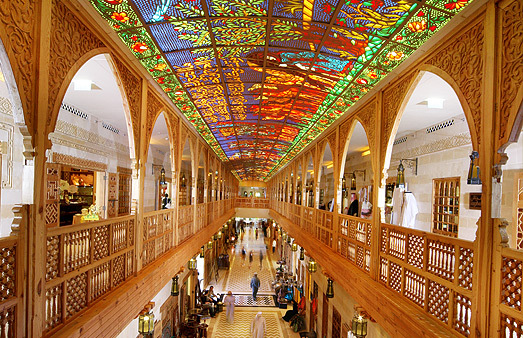 A fascinating architecture of fairy tales – lively colors and warm textures, like an extravagant temple for shopping. The rest? Everything you desire from spices to jewelry, art works and textiles. 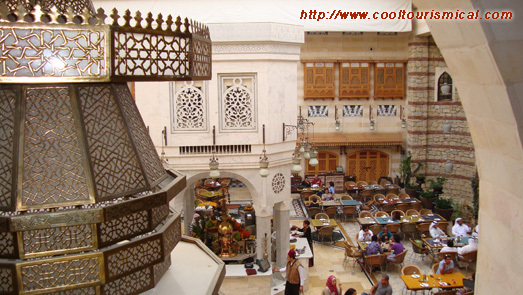 In the center of the souk there is a restaurant, a marble and wood courtyard in open air with traditional Lebanese, Moroccan, Turkish, Syrian, Egyptian foods and drinks. The Om-Ali had a great taste and the aroma of a Turkish coffee completed my visit there. 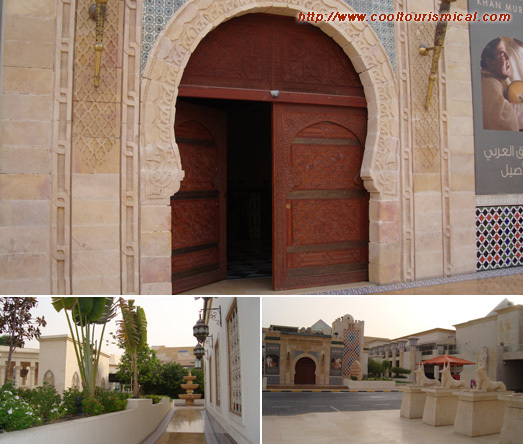 I absolutely cherished this remarkable blog article about the souk. Really looking forward for more! !